Play Red Hot Fruits online for free now! These are the freshest fruits around! 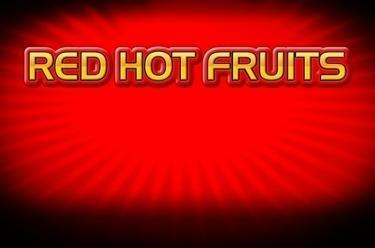 Red Hot Fruits is a simple, but exciting slot that features five reels, up to 25 win lines and a host of surprises for you. Keep your eyes peeled for the red 7, because it has a particularly high winning value. 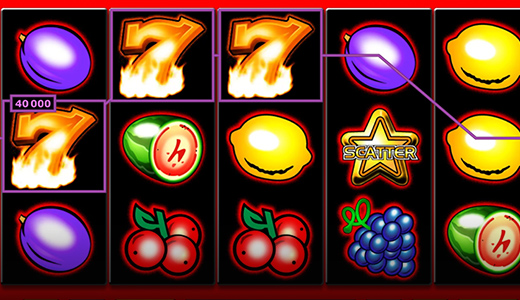 Two Cherry symbols, side by side on one of the win lines running from left to right, are enough to make you a winner. All other symbols must appear at least three times side by side on a win line – except for the Scatter (Star). Please note: All symbol combinations must begin on the first reel to land you winnings – with the exception of the Scatter symbols. The Star can appear anywhere as the Scatter symbol to land you wins irrespective of the win lines – provided you get three or more. Scatter winnings are always added to line winnings. Does a slot have to be complex to be fun? Absolutely not! It’s the simple gameplay of Red Hot Fruits that makes it so exciting. All you have to do is launch the game and get spinning, so don't hesitate – these fruits are delicious!